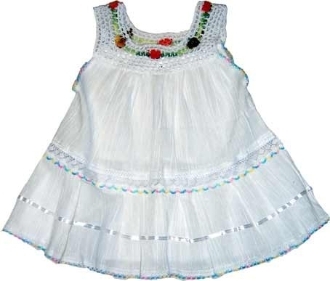 Incredibly cute children's dress. Made with a thicker material than the Light Weight Gasa Dress. Beautiful crocheted top with embroidered flowers of varying colors. 100 % Cotton, made in Ecuador.